Alchemy IoT, a provider of IoT Asset Intelligence for industrial applications, has been launched with $4 million in seed funding from Aweida Venture Partners and several angel investors. The startup's cloud-based application, Clarity, helps customers achieve a greater return on their industrial assets and gives them a competitive advantage. The product introduces a novel "no-code" approach to IoT Asset Intelligence that simplifies how fleet management, plant maintenance and manufacturing performance can be improved using artificial intelligence and unsupervised machine learning. Alchemy will focus on helping small to mid-sized industrial customers overcome the technical and data-science resource mandates that are needed to deploy today's expensive and highly complex IoT solutions.The promise of artificial intelligence, machine learning and industrial IoT are very real, but so too are the challenges smaller organizations face when trying to adopt and gain value from these new technologies. Our mission is to make AI-powered IoT a 'no-code' proposition, one that any industrial company can quickly start and put to use to gain fast value. Too many of today's IoT solutions require a massive budget and an extraordinary amount of customization to even getting started. Through AI innovation, Alchemy aims to make "data science" available to small to mid-market industrial customers by delivering a contextual view of operational and performance data fast, and at a fraction of the cost of expensive, heavyweight, customized solutions. Its Clarity application creates a digital twin of industrial assets, allowing the full benefit of the internet to make industrial assets and data feeds easy to connect to its IoT cloud application. Sensor Data Monitoring: It aggregates and filters data related to the health, operations and performance of connected industrial assets to deliver real-time data, including mobile assets tracked via GPS. 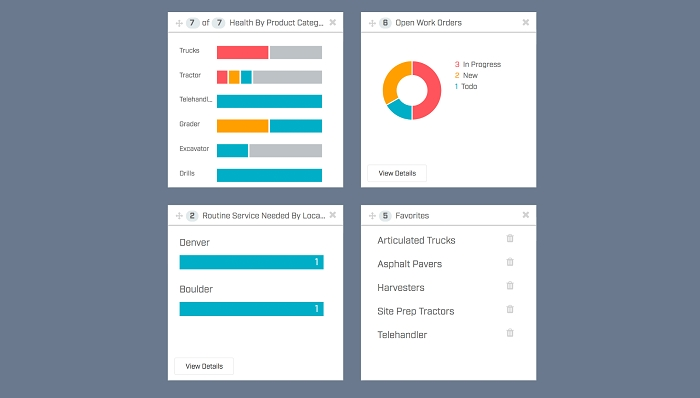 Using Clarity, teams can visualize asset information in graphical dashboards, analyze asset performance through unsupervised machine learning, and take proactive action to increase the productivity of industrial fleets and machinery. Clarity stands alone in its ability to deliver self-learning, predictive analytics to automate complex tasks typically performed by high-cost and scarce data scientists. Offering asset data analytics through a low-cost SaaS model also enables customers to quickly deploy and scale thousands of devices within 48 hours of using Alchemy's unique auto-provisioning capabilities. Click here to learn more about Clarity.